Hello Guys year are passing without any update of this blog but at least it remains visible and who knows what's the future at least it will just stay like it is. So starting of the year is a excellent time to wish you all the best a healthy year to enjoy gaming, family, boy and girlfriend, created new things for game or for you life the whole thing being surrounded by peace and forgivness. So I'm back just to wish you a happy new year 2015 hopping the best for the year to come for all of you a healthy year for everybody is the best I think and for the rest we will see. During 2015 and except virtual racing I play several game baught on steam or on second hand store move of the game published before 2009 don't need a online validation and so it can still be interesting get some old game for small prices. This year I found Gear Of War, Halo 1, Call of Juarez: Bound in Blood for 1€ played the two last one and enjoy playing them even if it wasn't a fantastic experience. I also baught on Steam Alpha Prime and Dukem Nukem Megaton Edition with Shadow warrior Redux this game me the opportunity to replay the wall unit including officiel Addon for Duke Nukem this during winter holiday it was really a good moment for me. What ever happened to Adrian Shephard after the mysterious G-Man conveyed him to this distant and segregated place? 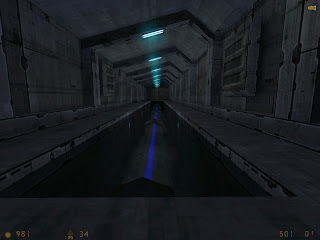 The Evasion is a modification for Half-Life that takes place a few days after the Opposing Force ending. The player takes control of Adrian Shephard, the unsung hero from the aforementioned game, while trying to figure out a way to get back to his world. The Evasion isn't a particularly ambitious project spanning only 6 maps (funnily it was supposed to be even shorter, like 3 maps, but I decided to expand it. Looking back I'm glad I did.) 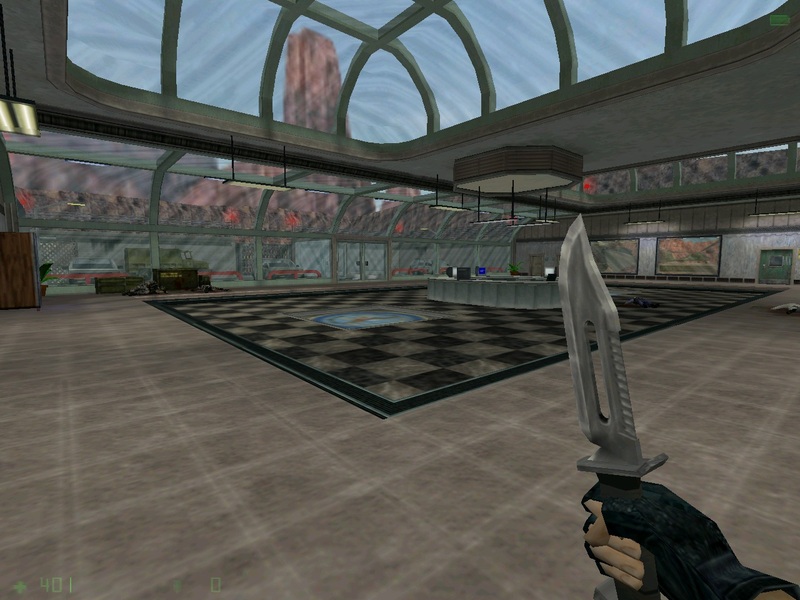 but I've always wanted to make a singleplayer modification for Half-Life and this is what I came up with more or less. 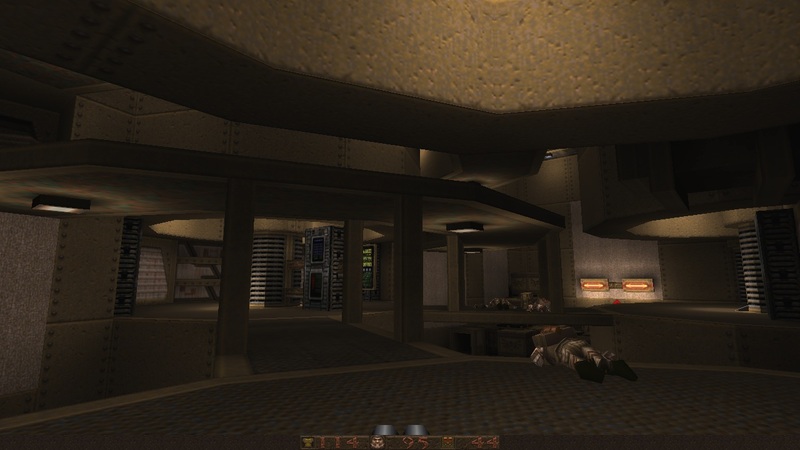 The Evasion isn't exactly an original concept either, it were actually born after I tried out Dark Operations, a singleplayer modification for Opposing Force, developed by Barry A Bollinger. It even starts off in a very similar way but the similarities ends once the player reaches Earth. 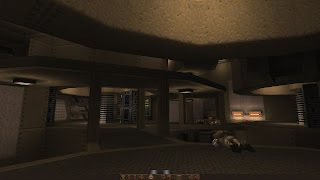 Design: the back ground story as nothing new and it's the simple approach of most of FPS experience survive and escape, this time the approach is perhaps a little original because you start on a xen world and after return to the center lab were the things will take place. Architecture is well put together by the author it’s not his first experience in mapping so the skill is there, sometimes places seems not that well interconnected and the non linear approach felt a little bit down because most of the time the alternative route are simple dead end route. 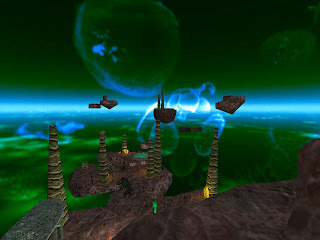 You will encounter lot’s of funny thing that are normally present in the original game …it can even be scary and challenging in some places. 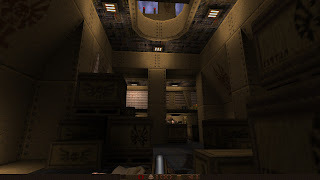 It only lack some cutscenes ,a more open wide design that, for my opinion, sometimes suffer from claustrophobic area (tiny places full of detail that let you the impression to be too big to travel through them) and the architecture being sometimes repetitive with the squared crossing giving you a path to different hallways. 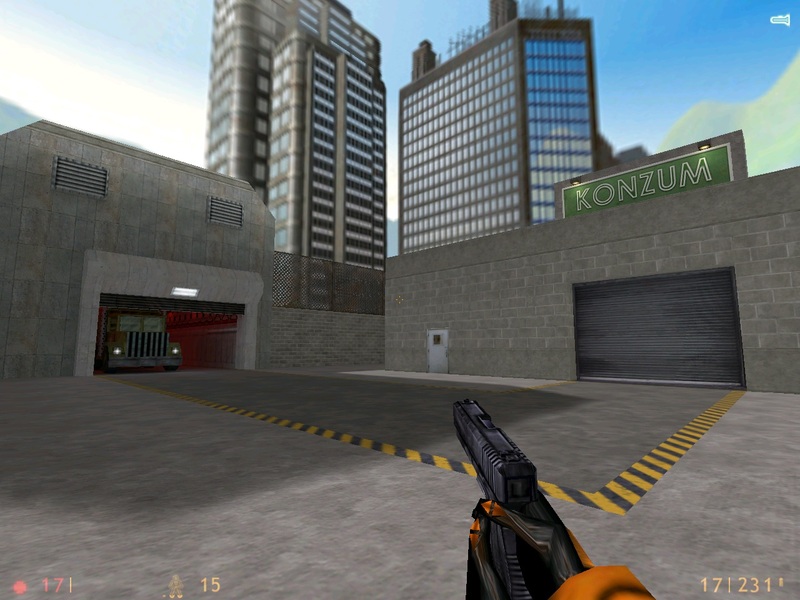 In conclusion: Even if after playing this one I had a mixed filling, Tobias release a quite enjoyable experience in sort of Opposing force style but for HL, it’s a short but recommended experience but without an overflowing enthusiasm. and so it begins: "What if Freeman weren't held in stasis during the portal storm that ravaged the Earth and caught the attention of the Combine? What if Freeman had a chance to prevent the Combine invasion from ever materializing? What if Freeman could reverse mankind's fate?" this is a small abstact from the author's page at moddb. I need to mention that Mikko, who I know virtually for more 10 years, ask me to be part from the beta testing team for his release which I really consider as an honor (regarding the amount of people Mikko knows from all the forum he visit) So I did my job and played this one for 3 times without any boring or frustration putting in adavance that it was fun to play through but after I never could find the time to replay it after beta stage for a review now nearly two year after it's done. Design: was great looking, I know how not to difficult a level construction can be with the duke nukem editor but everytime I wanted to go to those other type of Editor included wordcraft I was totally lost and unefficiant to do sometime correct except a squared room, so Mikko estonish me already with a good quake1 level (here) and one more time with this new episode for Half-Life it took him 3year on and off to create something really good, he should be proud of that. Mostly all the stuffs that are necessary to create a good package his here present cutscene, new textures and skyboxes, models,sounds everything is present except perhaps some new weapons or music. 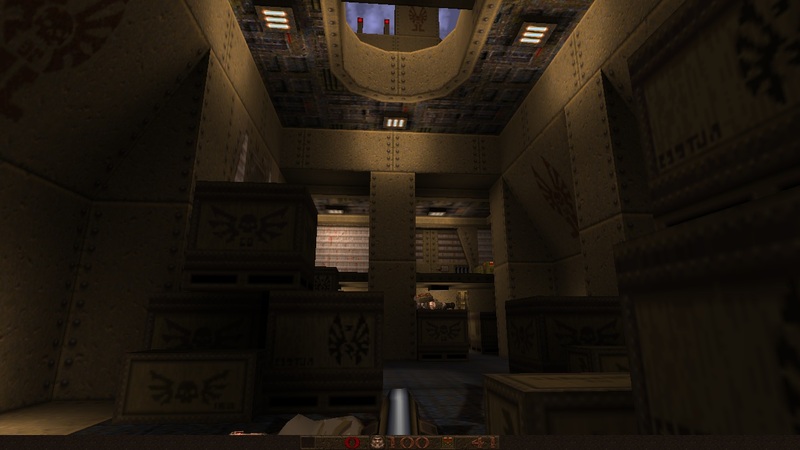 The archticeture is also well put together in a not linear way with traps and tricks and a good variety of texture and details (door and other stuff could have be a little bit more used, in the other hand vent grids and lights source could have perhaps be a little less used but that's part of the author choice and if you look to every tiny detail you never finish you work...There is a good mix between outdoor and indoor, animation, battle scene and even some travel with a truck or even a vessel...the experience flows perfectly in a quite wide environment and also with a good variety to layout with doesn't disturb the storyline. Gameplay is quite difficult to juge after you play it more than one times but in medium skill it's perfect, lots of time I had nearly no life left but enough to survive and find some rewards the progression is not complicated and objective seems quite evident I never encountered any frustration through my progression, open place your are visiting look sometime a little boxy in therm of overal view but in compensation most of indoor area are perfectly put together so that the travel through this episode is enjoyable. In conclusion: Mikko is really able to create anything you want with any editor avialable and this with a great skill...If you never play one of his release it's never too late and why not starting with this one. 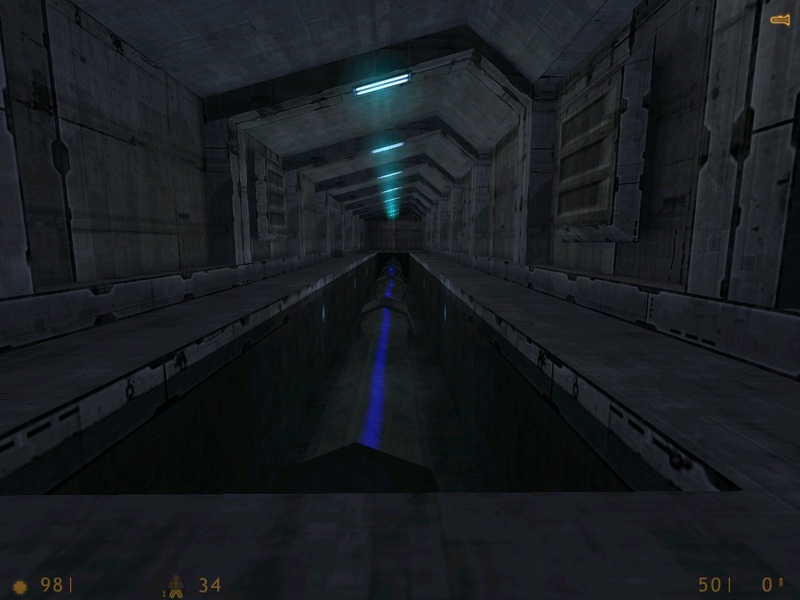 This time you are in an industrial base or a classic action packed experience that will turn in a original way because of the malfunction of a portal that will bring you unwanted enemies from the past. The theme of this single map is Industrial base mostly and is really neat, texture is perfectly use to create a good floability attention is also put to detail and everything you go across like wall screens bring you a text message. puzzle are just there to make you a little think evendow the first thing is to progess and kill, but if thinking and searching is part of your gaming pleasure then there are secrets places for you happyness.